Precut for your exact make, model, and year vehicle. Select the shade of your back doors. You will receive: Both sides of your back doors and back door ports if applicable. 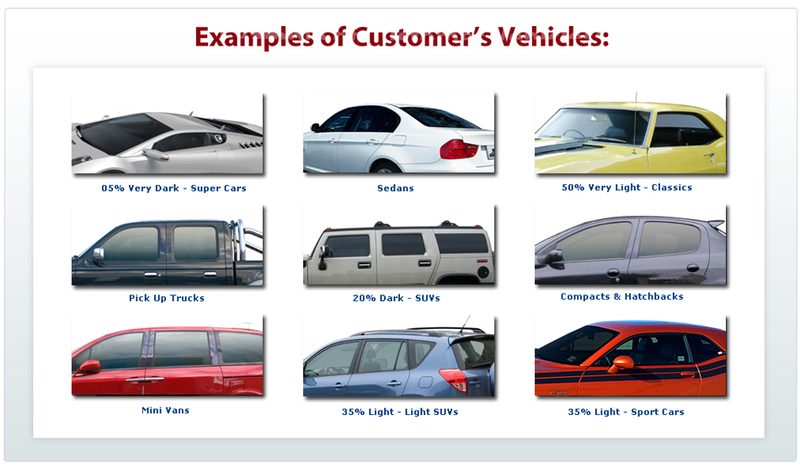 Please note that your actual precut tint patterns will match the exact shapes of your vehicle's windows. All pictures on this page are examples only. 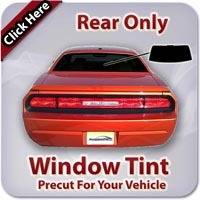 Our window tint is computer precut with the finest equipment on the market and it will precisely fit your exact make, model, and year vehicle. We offer you the best value on the market. Others claim to have the best films and services, however they over charge you for what we offer at discounted pricing. 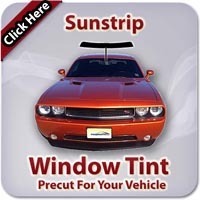 Our window tint reflects harmful UV rays, filters day time lights, and filters nigh time head lights. We offer the most "Free Shipping" items in our industry, there are no hidden fees, and have a strict 100% up front honesty policy. 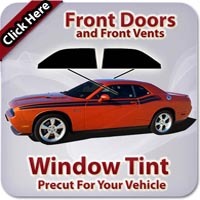 Our precut tint keeps the interior of your vehicle feeling cooler and it will extend the life of your leather, vinyl, plastic, and other materials. We work very hard on shipping your packages quickly and safely. Our precut tint will increase the security of your glass by adding a layer of laminate film to better hold together breaking glass. Our customer service is highly responsive and answers all emails in a timely and professional manner. 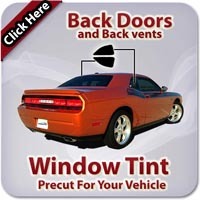 Our precut tint will greatly increase your privacy that you need in todays fast paced environment. We offer the most extensive line of precut patterns available on the market today. Each pattern has been tested and fine tuned to meet and exceed your expectations. 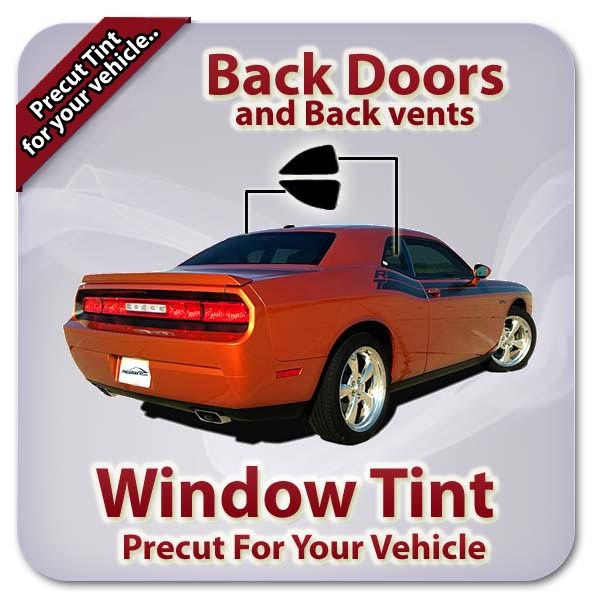 Our precut tint is non-metallic meaning it is safe to install on windows without blocking signals such as cell phones and radios. We understand your needs and work very closely with you throughout your project to the finish line. We offer the best installation instructions with links to free online videos. 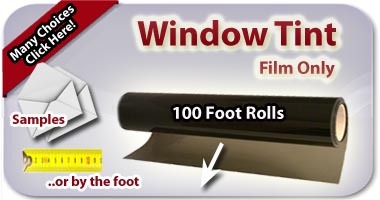 Our film is super hard coated to best resist scratching and give you the best installation possible. We also visually inspect and carefully handle all film to make sure it will arrive without any flaws. Buy it once and buy it from the best. If you would like to replace any window tint after it was properly installed and the quality did not meet your standards, just email us and we will work with you on replacing the pieces. Please do not install these films in violation of your local or state laws. 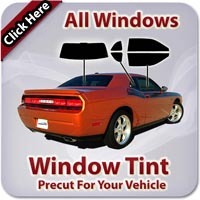 By purchasing this window tint kit you agree to the following terms: (1.) It is your responsibility to make sure that the window film(s) you have received are in accordance with your local laws. (2.) Window glass may already have tint in it, and you are responsible to check and confirm that the total amount of light being able to pass through your window(s) meets the limits and requirements of your local window tint laws. (3.) Once you have placed an order for custom made window tint film for your vehicle, we will not be able to accept returns unless you have received something other than what was ordered. In the event of receiving damaged precut tint pieces we will replace them provided you send us a picture of all of the unused window tint piece(s). (4.) By starting to install your custom made window tint kit, you agree that all pieces arrived in good condition and that there aren't any missing pieces in your custom cut window tint kit.